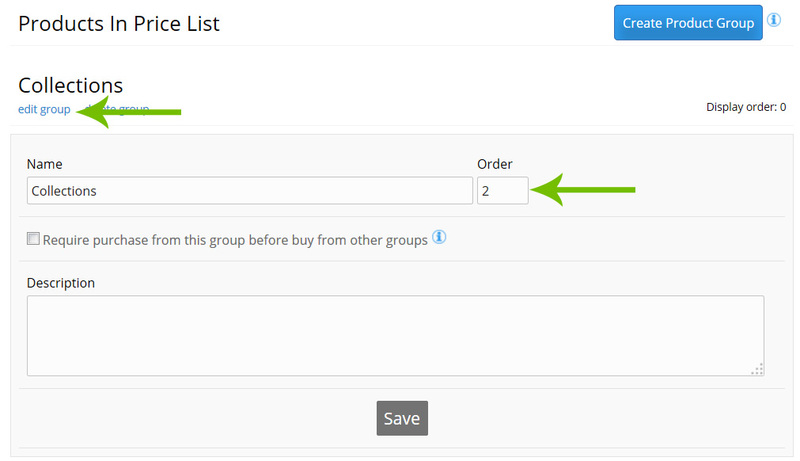 To adjust the order of the product group tabs, click edit group under the group name. There is an Order value. The product group tabs will be sorted by that value lowest number first. The color of the product group tabs are controlled by the color of the buttons for the forms when editing your theme. Edit your theme and click Forms in the left menu. The tab not selected is the Submit Disabled Colors.